Whether you’re looking for an excursion along coastal bluffs or hoping to head to the hills, the Bay Area has a trail for you. With hundreds of hiking opportunities within striking distance of San Francisco, tourists and locals alike will love the variety of trails to choose from. Offering a unique variety of terrain, the Bay Area is a hiker's dream. An exploration in close proximity to the coast makes for remarkable views of the ocean, hikes through the lush redwood forests offer shade and enchantment, and a trip to the hills provides a mix of open grasslands and forest with far-reaching views of the surrounding area. 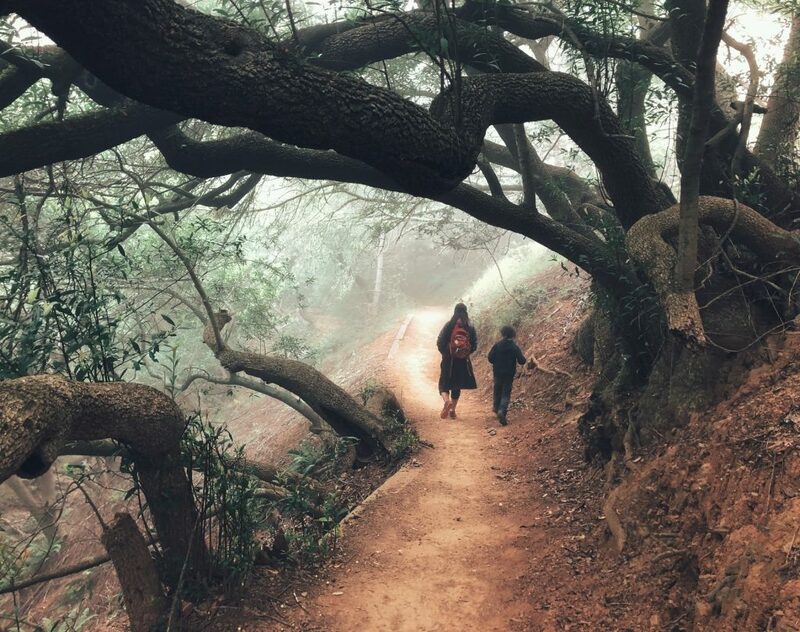 This list represents a fraction of the best community-rated options on Hiking Project to get you exploring the Bay Area. With the handy mobile Hiking Project app to help you navigate, all you need to do is to pack a bag for your hike. Just remember to check a park's website for any trail closures and fire restrictions before heading out. If you’re looking for a mellow stroll along the coast, this is an easy-to-access jaunt from a pull-off along Highway 1. This paved, multiuse path along the old and now repurposed Highway 1 offers outstanding views of the ocean and is an excellent place to take the whole family. With free parking at both ends of the trail, you can hike it in either direction. Though mapped as a 2.5-mile-long out-and-back hike, you can easily cut this short, hiking only as far as your group wants to go. From the north, the trail starts off winding through coastal hills but quickly reaches the bluffs over the Pacific Ocean. Once on the bluffs, you’ll have views of the sea and, if you’re lucky with the weather, the Farallon Islands and Point Reyes. With abundant wildlife like coastal birds, seals and whales, kids and naturalists will relish this hike. There are benches on the side of the path if you want a break along the way, and the occasional interpretive sign offers up information about the area. All in all, this is a nice side trip to stretch your legs and enjoy the sunshine. If you’re looking for a slightly longer hike that traverses the lush forest of the coastal Bay Area, then the Panoramic Loop is for you. The hike winds through both the Muir Woods National Monument and Mount Tamalpais State Park. With interpretive programs and tree talks offered by the park service, there is plenty to do and learn about while in the area. Plus, the Junior Ranger Program and the Muir Woods Discovery Quest will surely keep the kiddos entertained. Keep in mind that parking and shuttle reservations are required when visiting Muir Woods National Monument, so you’ll have to plan ahead. Park at the Muir Woods Lower Annex Parking area and head out on the paved Redwood Creek Trail, passing the Muir Woods Visitor Center in about 0.2 miles. After about 0.6 miles, you’ll hike through the Cathedral Grove, an impressive grove of redwood trees. This trail can be quite busy but there are plenty of opportunities to step to the side of the trail or rest on one of the benches and enjoy the majestic surroundings. After about a mile on the Redwood Creek Trail, take a right onto Fern Creek Trail. As you venture farther along the fern-lined and prehistoric-feeling path, the crowds fade away. You’ll gradually climb to reach Lost Trail. Take a short break here if you need it, as the right turn onto Lost Trail will take you up a rather steep grade. There will be a few roots and obstacles to navigate, but if you watch your footing and take your time, you shouldn’t have any trouble. As you climb, the redwoods thin and the landscape opens up a bit. Taking a left onto Canopy View Trail, you’ll continue climbing but the grade will mellow as you switchback up to Panoramic Trail. Follow the Panoramic Trail a short distance, then take a right onto Redwood Trail to begin descending. The trail passes through private property and crosses the road. Here the path opens up along the aptly named Sun Trail, and you’ll be treated to some great views. When you reach Dipsea Trail, take a right and follow the track as it descends the ridge paralleling the road, eventually dropping you back at the parking lot where you started. Point Reyes National Seashore is a wonderful place to spend a weekend with the family. With beautiful scenery, abundant wildlife and rich history, the park has appeal for everyone. There are a plethora of trails and hikes, educational programs and ranger-led activities to enjoy, as well as plenty of opportunities to explore and learn about the natural environment of the area. This out-and-back hike is located in the northwest corner of the park on Tomales Point. From the Bear Valley Visitor Center head north on Sir Francis Drake Boulevard, take a right onto Pierce Point Road and park at the historic Pierce Point Ranch in the Tule Elk Reserve. From here, follow the wide doubletrack Tomales Point Trail all the way to its terminus at the Lower Pierce Point Ranch. 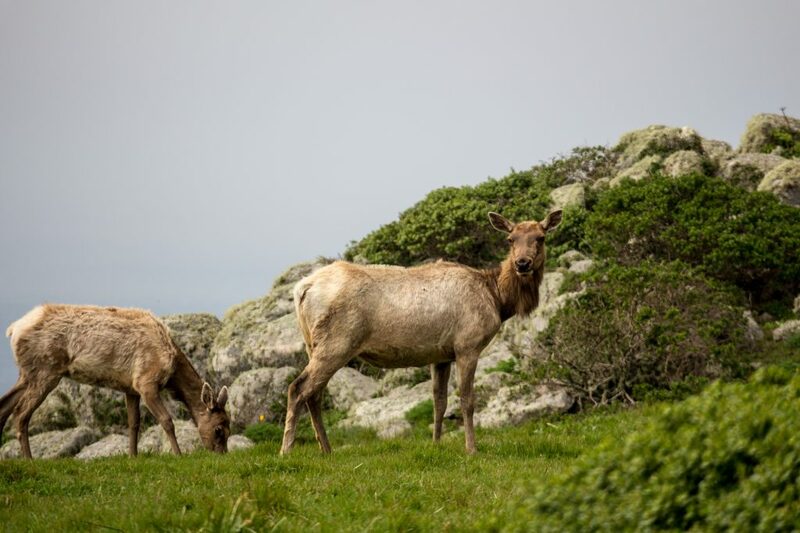 As the trail winds along the the crest of the point, you'll enjoy impressive scenery and likely catch glimpses of the tule elk that roam this area. Though the maintained doubletrack trail ends at the Lower Pierce Point Ranch, there is a well-defined, though unmaintained and rather sandy trail that heads all the way out to the tip of the point—the track does become fainter as you get closer to the bluffs. Once at the bluffs, enjoy the views of the ocean and Bird Rock, but stay on the main path; it is dangerous and not recommended to walk along the edge of the bluffs, which can be unstable, especially after wet weather. The way back is easy: Simply follow the same track back to the parking area. Though not a terribly strenuous hike, at almost 10 miles round trip, it is quite long. There is little shade, so come prepared with sunscreen, a hat, water and lunch or a snack. 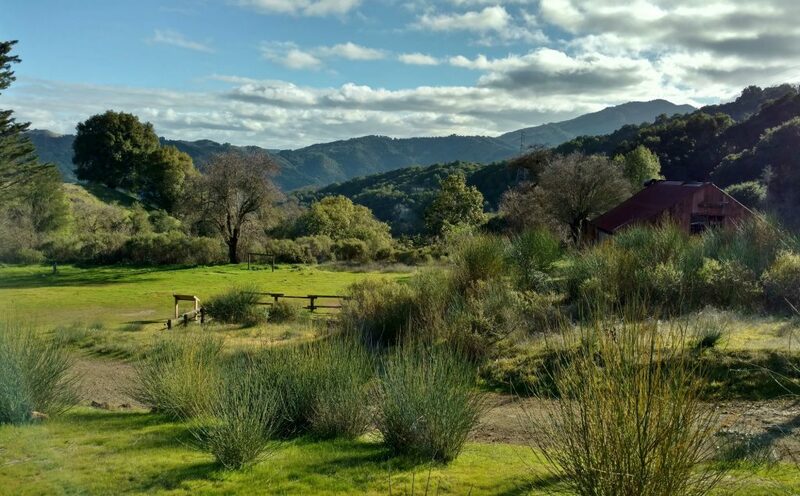 Located south of San Jose, Almaden Quicksilver County Park is rich with history and nature. Once the location of a mercury ore mining area, the park is now a recreation hotspot with opportunities for hiking, horseback riding, biking and more. The historic sites across the park make it easy to turn a simple hike into an educational experience. Plus, there are guided nature and history walks available—just call the park for more information. Time your visit for spring or early summer to enjoy a beautiful array of wildflowers while you learn about the past. To start your history tour, park at the Hacienda entrance; there is a display of old mining equipment here that is worth a gander on your way in. Begin hiking on the Mine Hill Trail, an old mining road that runs the length of the park. The trail gradually climbs along the hillsides, winding its way up through the woods. You’ll pass several historic sites, including an old tramway and a chimney that was once part of an ore processing furnace. Continue climbing, ignoring several trail intersections, until you reach the April Trail. Take this detour as it pops out of the woods and offers nice views of the bay and surrounding area. As the trail loops back, you’ll swing by the entrance to the April Tunnel then take a left back onto the Mine Hill Trail; you'll soon pass the powder house where explosives were kept. Take the spur trail to the San Cristobal Tunnel—the only tunnel in the park that you can enter and explore. Another spur trail off the Mine Hill Trail will take you to the Catherine Tunnel entrance. From here, backtrack to the junction with Castillero Trail and follow this open and sunny path, passing several viewpoints, the "hanging tree" and another ore furnace. Head toward the junction with Hidalgo Cemetery Trail, which takes you to the old cemetery. Backtracking, take the Yellow Kid Trail, which passes several tunnel entrances as it descends to English Camp, a small development where predominantly English-speaking miners once lived. Take a right on English Camp Trail and descend through a mix of woods and open shrubland back to Mine Hill Trail. A right onto Mine Hill Trail returns you to your car. Though Big Basin Redwoods State Park, California’s oldest state park, is located near the ocean, it won’t feel coastal as you tromp through the dense forest. The opportunity to see the massive redwood stands lures most people to the park, but there is also an extensive trail system that can accommodate hikers of all experience levels. With hiking, camping and free park events to attend, Big Basin Redwoods State Park is an excellent place to spend the weekend or visit just for the day. Be sure to have your state parks pass, or pay the vehicle day-use fee. Starting from the headquarters parking lot, head south on the Skyline to the Sea Trail as it briefly climbs over the ridge before descending the other side. The trail drops and follows Kelley Creek, which then joins and becomes West Waddell Creek. Take your time and enjoy the sounds of the forest and flowing water as you hike. The shaded and serene setting of this trail is worth soaking in at amellow pace. When you turn onto Berry Creek Falls Trail, you'll be greeted with an amazing view of Berry Creek Falls from a viewing platform. From here you’ll climb to the falls, entering a lush canyon that winds up the creek. Ascend past Silver Falls via a steep rock staircase (there is a cable handrail if you need it), and then follow the trail to Golden Cascade. The trail ends at Sunset Trail, where you will take a right. This trail generally climbs for a bit, with a several dips into gulches as it crosses creeks. Though the woods open up a bit and you might even feel some sunshine, there aren’t any particularly open vistas; however, the trail is well maintained and makes for a pleasant end to your hike. Mostly known for its preservation of large stands of coastal redwood trees, Henry Cowell Redwoods State Park has abundant recreational opportunities and trails to explore. With camping, biking and hiking trails, interpretive exhibits, wildlife viewing, park events and more, the park is a great place to spend the weekend with the family. You'll need to pay a daily vehicle-use fee or present a valid state parks pass. This hike is located in the park's northern Fall Creek Unit and winds through a forest of second-growth redwoods as it passes some old lime kilns. Since no bikes or dogs are allowed in the Fall Creek Unit, the area is much quieter than other areas of the park, though you may still see the occasional hiker or equestrian group. From the parking area off Felton Empire Road, take the Bennett Creek Trail north to the Fall Creek Trail, staying left at the junction. You’ll begin a very mellow ascent along the trail as it climbs beside Fall Creek. 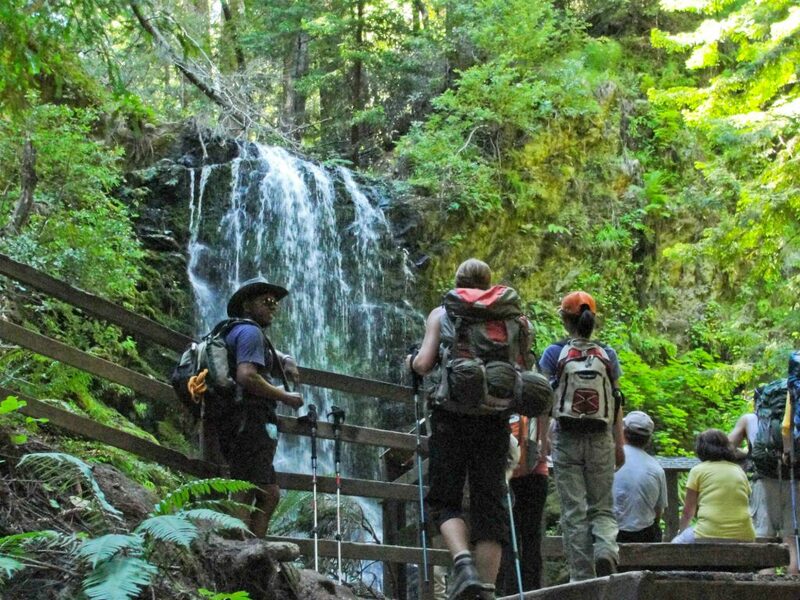 Continue following the trail, crossing the creek several times via bridges; you’ll enjoy sparkling cascades along the lush creekbed as you climb through the towering redwood forest. After a little over two miles, you’ll pass the remnants of the Barrel Mill. Once you reach the Big Ben Trail, turn left and begin climbing a slightly steeper grade. Reaching the top of this climb, you’ll be at the junction with the Lost Empire Trail and the site of the Big Ben Tree, an old, six-foot-diameter redwood—this is one of the last original redwoods that stands in this second-growth forest. Most of the old growth was cut down as fuel for the lime kilns dotting the area. From here, head south on Lost Empire Trail as it descends through the forest to Cape Horn Trail. A right onto Cape Horn Trail takes you to the junction with South Fork Trail which turns left, hairpinning back briefly. Right at this U-turn, take some time to check out the lime kiln ruins, just a short jaunt across the creek. The South Fork Trail ends back at the Fall Creek Trail. From here, head south and follow the trail back to the parking area. Mount Tamalpais State Park is located along the coast just north of San Francisco and has such varied terrain that lovers of both the beach and woods will enjoy exploring this park. With a range of camping options and hiking, biking and horse trails throughout the park, there is more than enough to keep you occupied for a weekend trip. Plus, the interpretive hikes and astronomy nights put on by the Friends of Mt. Tam are educational and engaging for the entire family. To access this hike, park at the limited (but free) parking area on Panoramic Highway, just east of Highway 1. From here, head southeast on Dipsea Trail as it ascends a small verdant canyon before popping out into an open and shrubby meadow with sweeping views of the ocean. At the junction with Steep Ravine Trail, take a left to head up the trail, which is at times rather steep. The trail follows Webb Creek the whole way, so you’ll get to enjoy the sounds of the merrily babbling stream as you hike. Stop to check out the occasional waterfall or cascade as you ascend the canyon surrounded by a flourishing redwood forest. About halfway up the trail there is a fixed ladder to assist you on a particularly steep section. As the trail climbs out of the canyon, the forest opens up a bit. At the end of Steep Ravine Trail, cross through the parking area and across Panoramic Highway (watch for traffic) to reach Matt Davis Trail. The trail, initially in the woods, stays fairly level for the next 1.5 miles or so. It then pops out of the trees into some open grasslands for about a half-mile where, on clear days, you'll have stunning views of the ocean and surrounding hillsides. As you dip back into the woods, the trail steepens significantly, and you’ll navigate numerous switchbacks meant to help ease the grade. The trail ends at Belvedere Avenue. Take a left on the road, then another left to follow Highway 1 east a short distance to where Dipsea Trail branches off to the left. Follow the trail back to your car. Windy Hill Open Space Preserve is aptly named and is generally known for its breezy, grass-covered hilltops. When visiting and hiking around this area be sure to bring an extra long-sleeve layer as the wind can make the temperatures feel much cooler than you might expect. Leashed dogs are allowed on most trails in the preserve, making this a great spot to explore with your four-legged friend. 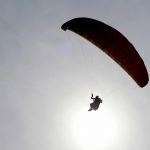 Though there is no camping available within the preserve, it’s an ideal area for hiking, kiteflying, taking in the views and, if you’re lucky, spotting the occasional hang glider or paraglider pilot soaring with the birds. To begin this hike, use the parking area off Portola Road and head out on the Spring Ridge Trail. The going is pretty straightforward for about a half-mile, but when Spring Ridge Trail makes a sharp left, things can get a little confusing. Stay straight onto Spring Ridge Trail Connector to its end at Meadow Trail. Follow Meadow Trail very briefly to reach Hamms Gulch Trail. From here, the going on Hamms Gulch Trail is more obvious. Once you pass Eagle Trail on the left, the path begins to climb, rather steeply at times, toward Lost Trail and Skyline Boulevard. Though there are a few views along the way, most of the trail is well-shaded by the thick woods making this a nice spot on a hot, sunny day. At the junction with Lost Trail, turn left; then when you reach the parking lot, jump across to Anniversary Trail. Anniversary Trail winds around the hill just below the summit, but still has great views. Take a quick side trip on the spur trail to reach the true summit of Windy Hill. From here, you are rewarded with amazing views of the preserve and the Santa Monica Mountains. Continuing on the Anniversary Trail, you’ll quickly reach another parking area and the start of the Spring Ridge Trail, which you’ll take back down through the preserve. The trail descends a rather steep dirt doubletrack through open grassland and shrubby terrain. As you near the bottom and enter the trees, ignore the side trails and simply follow the Spring Ridge Trail back to the parking lot and your car. Located in the hills of the eastern Bay Area, Mount Diablo State Park sits high above the surrounding slopes. Due to its position, the views of the Bay Area from the summit of Mount Diablo are the best around on a clear day. Many visitors simply beeline it to the top, ignoring the plethora of other activities and opportunities the park has to offer. With camping, hiking trails, family programs and guided tours, the state park is perfect for a day visit with the family or a strenuous hike through the hills. Though there are many trails in the park, this loop takes you around much of the area, summiting four peaks, including Mount Diablo. To begin, park at the end of Regency Drive and hike south on Donner Canyon Road, a wide fire road that winds along Donner Creek through a mix of grassland and oak forest. The road ascends a somewhat steeper grade as it nears its terminus at the junction of Meridian Ridge Fire Road and Cardinet Oaks Road. When you turn right onto Cardinet Oaks Road, the views start to open up. Turn right at the junction with Olympia Trail, a singletrack that climbs steeply toward the ridgeline, and continue following it as it turns into Mount Olympia Road. Keep climbing through the open grassland and take Zipper Trail up a rather steep hill to East Trail. A left here takes you along a steep grade to the summit of Mount Olympia. At four miles into the hike and with amazing views from the summit, this is an excellent place to take a break. From the summit of Mount Olympia, take the North Peak Trail which, except for a short initial descent, will climb for about 0.75 mile to North Peak Road. Take a left to head to the summit of North Peak. Though this section follows a road, it is quite rugged and steep, but the views are worth it. After taking in the scenery, head back the way you came and continue west on North Peak Road to Prospectors Gap. From Prospectors Gap, take the North Peak Trail—a different one than you were on earlier—to the Devil’s Elbow and turn right onto Summit Trail. 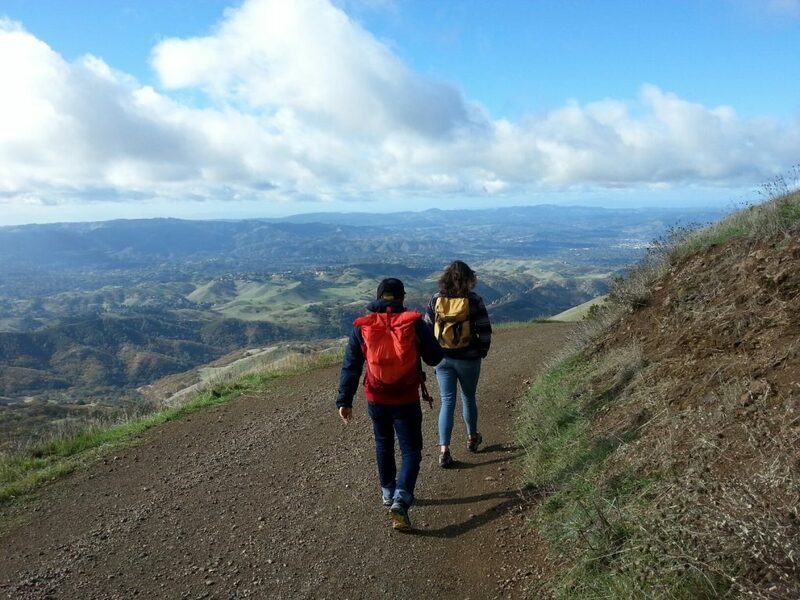 This will lead you to the summit of Mount Diablo, the visitor center (restrooms and water fountains are available) and some of the best views in the whole region of the Bay Area. This is the highest point along the hike and one of the most popular spots in the park. Since it’s possible to drive to the summit, this area can be rather crowded and you may or may not want to hang around. With one more summit to go, you will have a bit more solitude if you continue on. From the summit, descend through the woods on North Juniper Trail and pass through Juniper Campground to reach Deer Flat Road. The road continues to descend, through open grassland before popping back into the woods. The grade of the road eases a bit as you drop into the trees to reach Deer Flat. From here, head along Meridian Ridge Fire Road for a short and easy spell to Murchio Gap. If at this point you are too tired to bag another summit, you can continue straight onto Back Creek Trail to head back toward your car. Otherwise, take a left onto Eagle Peak Trail. This follows a steep-sided ridge trail and summits Eagle Peak, from which you can enjoy views in all directions. When Eagle Peak Trail ends, take a right and follow Bruce Lee Road briefly to Back Creek Road; the latter descends to Donner Canyon Road where you parked your car. Las Trampas Regional Wilderness is part of the East Bay Regional Park District. Given its size and location in the hills on the east side of the Bay, the park can feel much more remote and less crowded than other places nearby. There is a great hiking, horse-riding and biking trail system throughout the park, with remarkable views and nature viewing opportunities. If you’re a rock nerd, you'll find that the park holds a rich geological history, including faults, ancient beaches and even fossils. To begin this hike, park on Camille Avenue near the junction with Camille Lane. From here, look for the Las Trampas to Mt. Diablo Regional Trail and take it heading southeast along Camille Lane. You’ll follow this through the fragrant eucalyptus trees common in the area's neighborhoods. Once you leave the residential areas and start to ascend into the hills, the grade of the trail increases significantly. You’ll reach the only gate on the hike shortly after passing into Las Trampas Regional Wilderness and shortly before the trail ends at the Madrone Trail. Take a right to follow the wide multiuse Madrone Trail west out of the woods and into a meadow dotted with trees. In less than half a mile, take the Corduroy Hills Trail which branches off to the left. The steep grade of the wide track is significant and sustained, though you shouldn’t encounter too much loose footing along the way. The trail winds up the ridgeline through open meadow, skirts the edges of the oak woods and passes through more shrubby landscapes as it climbs. The views get better and better, including glimpses of nearby Mount Diablo. About 1.3 miles into the hike, the wide dirt track makes a small loop back on itself, while the Corduroy Hills Trail turns to narrow singletrack which you will continue on to ascend the ridge. From here, the grade mellows for a bit, giving your legs and lungs a nice respite. However, it steepens again as it makes its last climb to the ridge, dipping in and out of the the trees. When you near the top of Eagle Peak, there is a short spur trail to the left that takes you out to explore the summit, where you can enjoy the views. This hike is especially beautiful near sunrise or sunset when the golden-hour sunlight filters through the trees. After enjoying the scenery, return the way you came. Hiking Project is a community-built resource with more miles of trail being added every day by members just like you! Sign up to join our ever-growing community and to find your next hike, comment on and rate other trails and share your own hiking adventures.